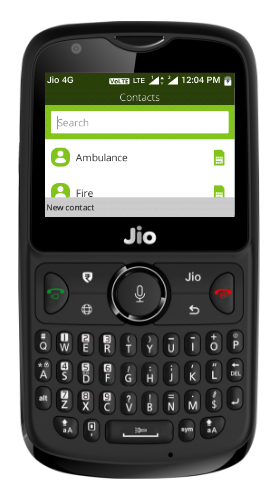 Jio announced Jio Phone 2 earlier, which is an advanced version compared to their previous jio phone. Today august 30, 2018 Jio starts a flash sale on the Jio website at 12.00pm. The phone has a single mono speaker which Jio says is a loud one. The device is backed by a 2,000 mAh battery. Connectivity options on the phone include Nano Dual SIM cards, 4G LTE Band 3, 5, 40 (Cat 4 DL 150Mbps and UL 50Mbps) and 2G Band 900/1800, VoLTE, VoWiFi, Bluetooth, Wi-Fi, GPS, NFC and an FM Radio. The 2G band support in the phone is particularly interesting, because it may allow users to use SIM cards from other network providers too. You can connect the phone to any TV with JioMediaCable. You will get a 1 Year Warranty for Device and 6 Months for Battery & Charger. This phone does include facebook app. The phone is available for INR 2,999.